Thailand have now trebled the reward money for information leading to the arrest of the Bangkok bomber, this reward now stands at 3 million Thai Baht (£53,000). 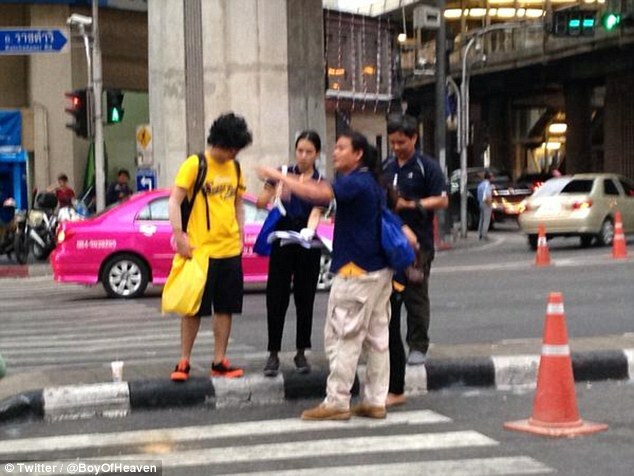 Prime Minister Prayuth said he would "expedite all investigations to bring perpetrators to justice"
On Wednesday Nation TV station sent a look a like dressed in yellow to the scene of the bombing. This was an outragous and un-thoughtful thing to do. Nation TV have accepted they are wrong and have apologised. They also stopped filming when they saw the distress it was causing to the pubic - they shouldn't ever of done this. As a national TV station they ignored their responsibility to the public. Nation Broadcasting Corporation president Adisak Limprungpatanakij said the plan was made 'without consideration for the sensitivity of the public and with disrespect for the dead'. He said the station would consider disciplining those responsible. 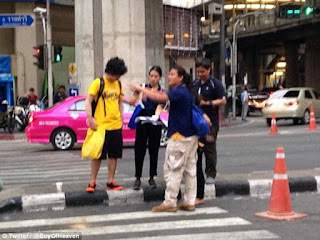 Royal Thailand Police, and the people in charge are now believed to be seeking a foreigner in relation to the bombings. It is also believed they are asking for help from America.